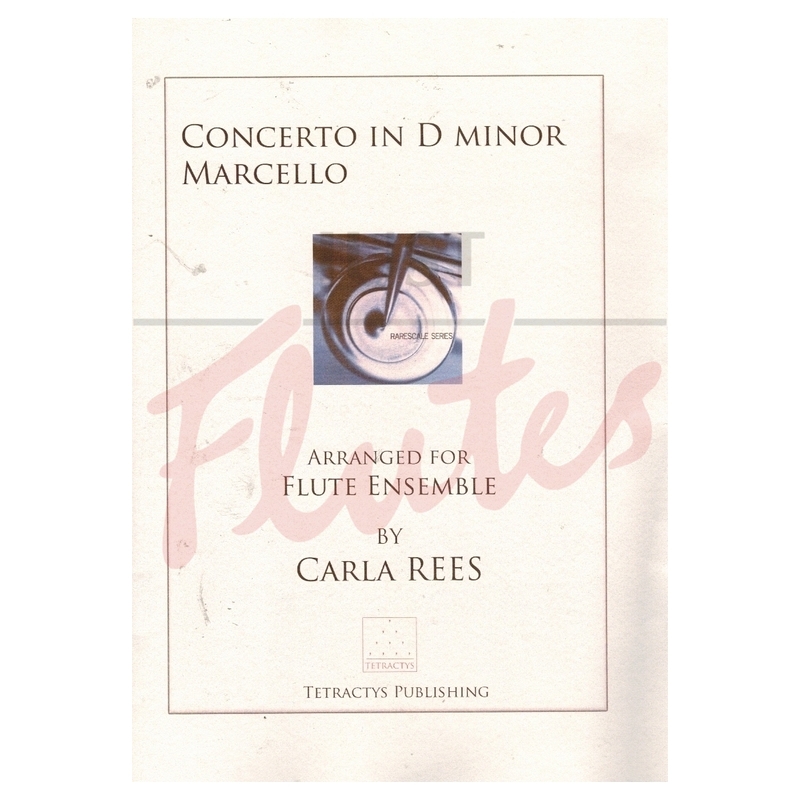 Carla Rees is a very good arranger and her flute ensemble music works. 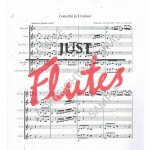 Baroque concertos ideally lend themselves to her specialist low flute accompaniment which has been sensitively handled to allow the C flute solo to really cut through the texture. The challenge here is in clarity and precision, with the rhythmic cohesion of the genre taking away some of the stress of performance. Of course it works best with a contra bass flute but if you don't have one don't worry - the bass flute has the line covered. 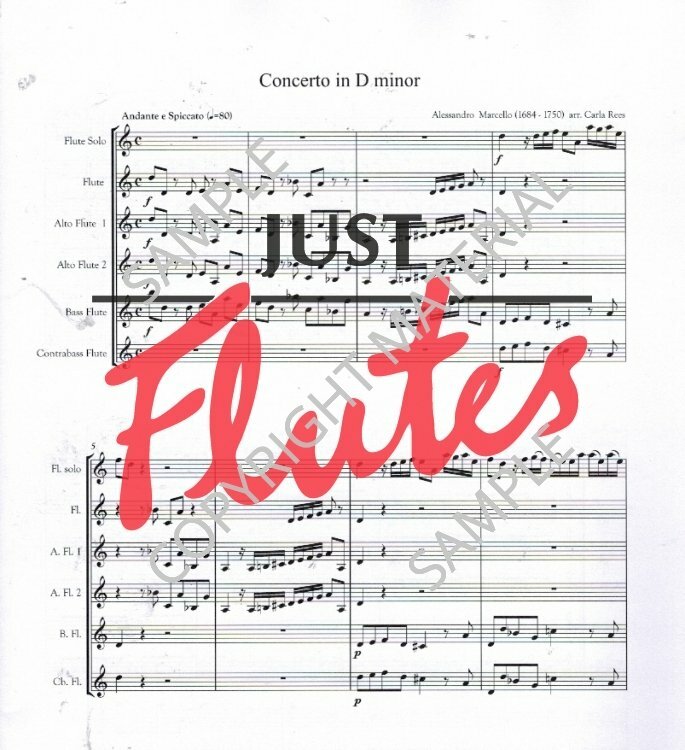 This is a great way to introduce players to the concerto format both as a soloist and as a chamber player. Yet another winner!